In the land now known as the Philippines, there was a time when colonial Spain ruled for more than 300 years. During a period when native Filipinos once called Indios were oppressed, exploited, and stripped of their human rights, Jose Rizal was born on the outskirts of Manila. "What does it mean to be a Filipino?" "Is it possible to incite change through knowledge and not violence?" He thought of those every day. 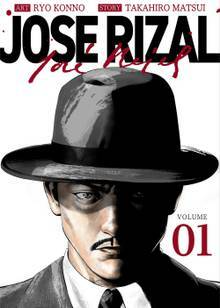 A doctor, novelist, and a painter who can speak 15 languages, Jose Rizal is a legendary figure who brought about national revolution through one epic novel!